For the BBQ enthusiast, nothing beats a Traeger grill! And there is nothing worse than your Traeger grill not working as it should! As Traeger grill enthusiasts ourselves, we completely understand your urgency to get your grill up and running. At Cody’s Appliance Repair, we have years of experience providing Traeger repair. Give us a call to schedule your service today: 208-938-1066. 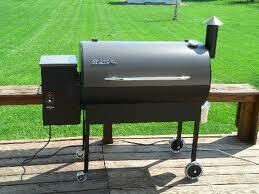 Cody’s Appliance Repair provides factory warranty services for Traeger smokers. But, don’t worry, we provide Traeger repair for grills and smokers out of warranty as well! As Traeger certified technicians, we have the training and technical support necessary to get your Traeger repair completed quickly. We have immediate access to Traeger parts, so (on most models) you won’t wait long for the repairs to be completed. In fact, we keep our service vehicles stocked with the most commonly failed Traeger parts, so same day repair is often possible. Call Cody’s Appliance Repair for service you can trust. Our technicians are background checked and drug screened for your safety and security. Call us today! We are here to help. If need Traeger Repair in Boise, Eagle, Meridian, Nampa, Caldwell, Star, Middleton, Emmett, Kuna or Horse Shoe Bend, call us at (208)938-1066 today or schedule right here on our website!